Readers might know you from your “Red History Lectures” series, where each lecture focuses on a figure from the revolutionary tradition. You could have written on any of these. Why Blanqui? It wasn’t the lectures that led to my interest in Blanqui, but the reverse. When I delivered the thirty separate presentations of the Red History Lecture Series from 2014–2016, I had already written the first draft of my Blanqui book. So let me backtrack and answer the following: what interested me in Blanqui and why write a book on him? To do so, I need to describe my own experience as a political activist. Even though I had considered myself a communist for many years, it was only in 2011 that I first became politically involved with the Occupy Movement in Boston. It was a whirlwind of activity where masses of people seemed interested in fundamentally changing society. I had naïve hopes that this was the start of the revolution and tried my best to push events as far as they would go. That didn’t happen and the whole thing fizzled out in a few months. However, I was still full of energy and wondering how to keep that revolutionary energy alive rather than suffer disillusionment or be drawn into the Democratic Party. Dealing with the aftermath of Occupy brought me to a study of France with its rich revolutionary and communist tradition. I began by looking at the figure of Gracchus Babeuf, who was active during the French Revolution and launched the modern communist movement. I realized that Babeuf had only inaugurated this tradition and it was continued after his death by others. The most notable was Blanqui, so that’s who I focused on next. At first, I really didn’t think much of Blanqui. To me, he was just an elitist conspirator with a confused communist theory. I expected to write just a short essay on him and then move on to something else. As I began reading and writing about Blanqui, I found my attitude slowing changing. In fact, I found myself coming to admire Blanqui. To me, he is the greatest French revolutionary of the nineteenth century, who dedicated nearly sixty years of life to the struggle. He paid the price of his commitment by losing friends, family, and spending thirty seven years in jail. Despite his long periods of imprisonment, Blanqui emerged from the dungeons to fight again on behalf of the working class. He never won, but he never surrendered. He lived a truly remarkable life defined by courage and commitment to the communist ideal. So my project grew from an essay into a book because I just found Blanqui’s story worth telling. Furthermore, I learned that, despite all Blanqui’s faults, he got more than a few things right. He understood the futility of reformism and of begging the ruling class for scraps. For Blanqui, there was no reconciling the interests of the oppressed and the oppressors. There was a class war that gripped society. You were either on the side of the proletariat or the bourgeoisie. There was no middle ground. Blanqui wanted to fight and win that war, so he gave serious thought to questions of organization, strategy, and insurrection. In other words, he thought seriously and without illusion about how to actually win. His answers may have been wrong, but those were the right questions to ask, both then and now. After studying Blanqui, I wanted to look at other lesser-known revolutionaries. While I think figures like Marx, Engels, Lenin, and Trotsky are the most important, there are others with much to teach us. I conceived of the Red History Lecture Series as a way to tell their stories. Over the course of time, the series looked at a pretty diverse range of socialists and communists: the German communist resistance against the Third Reich, Tania Bunke, James Connolly, José Carlos Mariátegui, Daniel Bensaïd, Bizhan Jazani, Victor Serge, Antonio Labriola, and others. All the figures and movements I presented in the Red History Lecture Series (including Blanqui) are generally ignored or downplayed, but I believe their lives, struggles, successes, and failures provide rich lessons that socialists can learn from. I am proud that I had the opportunity to look at a few of them. 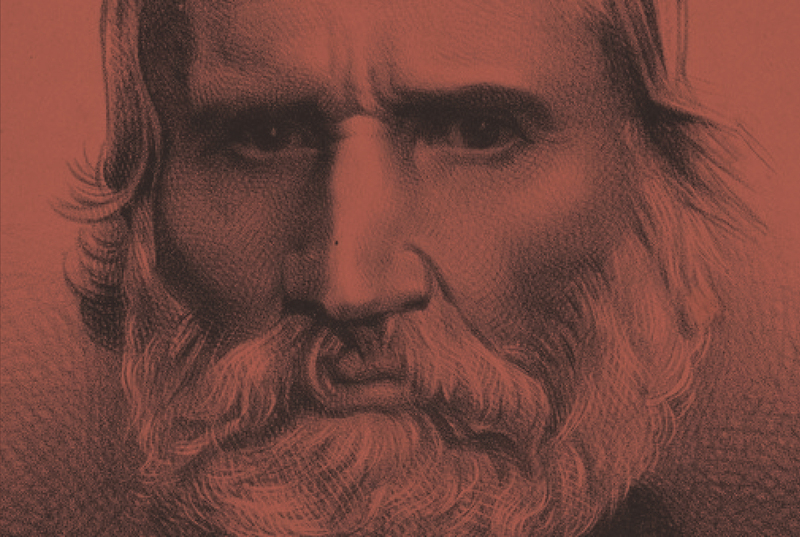 Blanqui lived through a period of almost constant revolutionary upheaval in France—in particular, that period of history that sees socialism replace republicanism as the major current of radicalism. Can we read Blanqui as, in some ways and albeit imperfectly, embodying that transition? I think that’s actually the perfect way to read Blanqui. During Blanqui’s life, there were a range of left-wing ideologies competing in France: anarchism, republicanism, Jacobinism, utopian socialism, and others. These currents had to deal with the unfulfilled promises of the French Revolution and the fact that it did not create a new egalitarian society, but a new exploitative order. Furthermore, the modern working class was only just emerging and radicals were both trying to understand what this meant and whether or not to organize this class for social change. At the same time, both the French bourgeoisie and proletariat were still struggling against the aristocracy, the Catholic Church, and different royal dynasties who threatened to roll back the gains of 1789. Blanqui is such a representative figure because he is openly grappling with all of these contradictions. For Blanqui, the working class appeared to be at the mercy of the Church and the state crushed all opposition. Blanqui only briefly lived under republican regimes where mass organization and agitation was possible. So the only way forward was in underground conspiracies such as the Carbonari or the Society of Seasons. This was a mode of organization that Blanqui inherited from the French Revolution and Jacobinism. He took it as an article of faith that the salvation of the working class would come from a selected elite who would seize power on their behalf. Blanqui dealt with these problems as best he could, but his strategies did not work. His whole method walked a tightrope between Jacobinism and modern socialism or communism. He did not possess theoretical weapons for proletarian revolution such as Marxism. Blanqui generally disdained theory and philosophy, believing it was more important to organize an insurrection to clear away the old order. Like the Jacobins, Blanqui conceived of revolution as a matter of will carried out by a few virtuous men. If the conspiracy failed, then there would be no progress for society. There was no place in his theory or practice for the self-emancipation of the working class. There was this strange mix in Blanqui of viewing all current events through the prism of the French Revolution while at the same time being an advocate for socialism. Neither Blanqui nor his followers could fully overcome this contradiction. During the Paris Commune of 1871, the Blanquists viewed events as a repetition of the Commune of 1792. By contrast, Karl Marx was more forward-looking and saw the Paris Commune as heralding the shape of future socialist revolutions. The communist movement represented by Blanqui bore all the marks of a society in transition that struggled with the legacy of 1789, the rise of capitalism, and different competing ideologies. Blanqui tried to find a way to overcome those contradictions, but remained mired in both theoretical and practical confusion that left him at an impasse. The last major revolutionary event of Blanqui’s life, the 1871 Paris Commune, was in many ways the most significant—at least, if we follow the interpretation of the Commune as the first proletarian revolution. Blanqui, of course, had been arrested the day before the uprising. How significant was his absence for the ultimate failure of the Commune? On the other hand, did the Commune—both in the manner in which it was established and the bodies which were created to govern it—in fact show how outdated Blanqui’s theory of revolution was? This is a great question that I have grappled long and hard to answer. I actually have a separate unpublished essay entitled, “Missing Victory? Blanqui and the Paris Commune” that argues Blanqui’s presence at the Paris Commune could have produced a very different outcome. For one, Blanqui’s reputation as an incorruptible revolutionary extended far beyond the ranks of his immediate followers. He had immense prestige among the different factions of the Commune, whether anarchists, First Internationalists, or Jacobins. At one point, Blanqui was nearly made honorary president of the Commune. Blanqui was recognized by both friend (Marx) and foe (Thiers) as the Commune’s natural leader. This is important because the Paris Commune had no effective leadership during its existence, so Blanqui could have united the different factions behind him. There were efforts by the Blanquists to free him whether by jail break or trading all their prisoners to Versailles in exchange for him. Adolphe Thiers, leader of Versailles refused to trade Blanqui, believing as Marx put it: “He knew that with Blanqui he would give to the Commune a head.” For the counterrevolutionaries, keeping Blanqui under lock and key was a wise choice. So what could have happened if Blanqui had not been captured and was present at the Commune? With all the caveats about alternative history in place, we can imagine the following scenario. If Blanqui was leading the Commune, he would have united its factions and based on his own understanding of military tactics, he would have ordered a first strike against Versailles. During the opening weeks of the revolution, the soldiers at the command of Versailles were completely disorganized, while the Commune’s National Guard outnumbered them. In real life, the Commune waited a few weeks before going on the offensive, giving Thiers precious time to reorganize and ultimately defeat them. If Blanqui was leading the Commune, it is not inconceivable to imagine a successful first strike against Versailles. However, a Blanqui-led Commune, even if it stayed in power and warded off the Prussians, would not have been a socialist, but a Pyrrhic victory. During the Commune’s existence, the Blanquists were distrustful of its democratic measures and working-class initiatives. There is no evidence that Blanqui or any of his followers saw any socialist potential in the Commune. To them, the Paris Commune harkened back to the experience of the Great French Revolution. In interviews given in the 1890s, the Blanquists said that if they had somehow won, they would have established a Jacobin military dictatorship. There would have been no bloody defeat as actually occurred, but the democratic and autonomous proletarian organs of the Commune would have been smothered by a Blanquist Committee of Public Safety. Much of what you say above highlights how Marxist views on party organization and revolutionary agency diverge from Blanqui’s, as well as the different ways in which the two traditions conceptualize “dictatorship.” Given these major differences, which aspects of Blanqui’s legacy do you think are worth retaining from a Marxist perspective? I devoted an appendix in the book to the relationship between Marxism and Blanquism. Simply put, Marx and Engels respected Blanqui as both a person and a committed revolutionary, but at no time did they adopt his ideas. Yet despite this, there is a long history of more orthodox and reform-minded Marxists conflating Bolshevism and Blanquism after 1917. Only a profound ignorance of history can lead someone to claim that Bolshevism and Blanquism have any similarity. Bolshevik forms of organization were not elitist or cut off from the masses. The Bolsheviks organized the workers, made every effort to fan the flames of discontent, and encouraged all forms of working-class activity. In fact, many Bolshevik organizers emerged from the proletariat as organic intellectuals and leaders. This is pretty far from Blanquism, which was elitist, insular, and did not engage in any substantial working-class organizing. The fundamental difference between Leninism and Blanquism is that the Bolsheviks (being good Marxists) believed that workers could emancipate themselves, while Blanquism did not. The ways that Bolshevism and Blanquism envisioned a socialist revolution were vastly different. It’s true that both believed that the party needed to organize for the seizure of power, but there the similarities ended. Blanquism believed that only a well-organized and disciplined conspiracy with its members trained in the use of arms could overthrow the old regime. Once this revolutionary organization was perfected, the revolutionaries would act. In other words, Blanqui saw revolution mainly as a technical question. For the Bolsheviks, the technical side of insurrection took a subordinate place to the question of politics. The Bolsheviks were guided by revolutionary theory that enabled them to understand objective conditions and the emergence of a revolutionary situation, build a majority alliance of the exploited and oppressed, and determine the right moment to strike. In other words, everything that Blanqui got wrong about revolution, Lenin and Trotsky got right. There are similarities and differences in how Blanquism and Marxism conceptualize a revolutionary dictatorship. Both recognize that there is no peaceful way to overthrow capitalism and that the forces of the old order need to be forcibly suppressed. On the other hand, the differences between the two conceptions of revolutionary dictatorship are immense. For Blanqui, the workers are too backward and deluded by religion to liberate themselves, so it falls to the conspiracy to liberate them. From the day after the revolution, the virtuous elite will rule on behalf of the people until they are enlightened enough to rule on their own. Marxists (whether Marx, Lenin, Trotsky, Gramsci or others) believe that the dictatorship of the proletariat is not the rule of a party, but the democratic self-rule of the working class. This does not mean that there is nothing from Blanquism that Marxists should uphold. I will limit myself to two things. One is Blanqui’s treatment of insurrection as an art. Lenin, Trotsky, and the early Comintern all thought seriously about questions of power and strategy. Consequently, they held Blanqui’s abilities as an insurrectionist in high regard. While Blanqui did not succeed in the political aspect of insurrection, he offered many important lessons on how to handle its technical side. He understood the need to study the terrain of engagement, where to build barricades, how to organize an insurgent army, and where to strike. Blanqui knew what revolutionaries were up against and planned his strategy accordingly. In our current era, with too many leftists settling for the dead end of reformism, we should look anew at Blanqui who took questions of revolutionary strategy seriously. While Blanqui is generally viewed as a man of action, he did possess a philosophy that is worth defending. He upheld both the ideas of the Enlightenment and of the French Revolution—liberté, égalité, fraternité. However, while Blanqui recognized that revolutionaries needed to base their worldview on Enlightenment principles, he knew that Enlightenment ideas could not be fulfilled by the bourgeoisie. Rather, the only way to realize them was by overthrowing bourgeois society. There is no such thing as an “innocent philosophy.” It matters whether we accept Enlightenment ideas like Blanqui did or reject them like the Catholic Church. Many contemporary leftists have rejected the Enlightenment, choosing instead a right-wing epistemology coupled with left ethics, ultimately placing themselves on the same philosophical side as Edmund Burke, the Vatican, and fascism, who stand for the destruction of reason. We should take our stand with Blanqui in defending the radical Enlightenment, whose promises can only be realized with the revolutionary overthrow of capitalism. Finally, and perhaps related to your discussion of Enlightenment values, I want to ask you about the very first lines of the book. You quote Blanqui’s excoriation of the form of “freedom” enjoyed under bourgeois society—“the freedom to enslave, the freedom to exploit at will, the freedom of the great and good . . . that the people call oppression and crime.” The implication is that there is another, fuller form of freedom—a socialist, or communist, form of freedom, perhaps. Was it a conscious decision to open with a quote about freedom, given that socialism is often portrayed as the destruction of freedom by its critics? I decided to open the book with that particular passage for a few reasons. First, this is my favorite Blanqui quotation and I love its unapologetic advocacy for communism. Here, Blanqui turns around the normal bourgeois homilies about freedom by accusing their “freedom” of being a shield for enslavement and exploitation. He recognizes that the true fighters for freedom—socialists and communists—want to end those bourgeois “freedoms” that have too long oppressed the people. For Blanqui, ending such “freedoms” is a righteous act that we should not apologize for. Finally, the socialist struggle for freedom is ignored or downplayed in our society. The limited democratic freedoms and rights that we have now were not granted to us by the benevolence of the bourgeoisie. They actually stood on the other side. Rather, millions of socialists and communists fought for those gains. Our history is filled with many who have fought against all forms of exploitation and oppression. They struggled for a radically democratic and egalitarian world where people lived without want and could develop themselves to the fullest. Blanqui gave his life in pursuit of that dream too and he deserves to be honored among the many socialists who have fought for freedom.